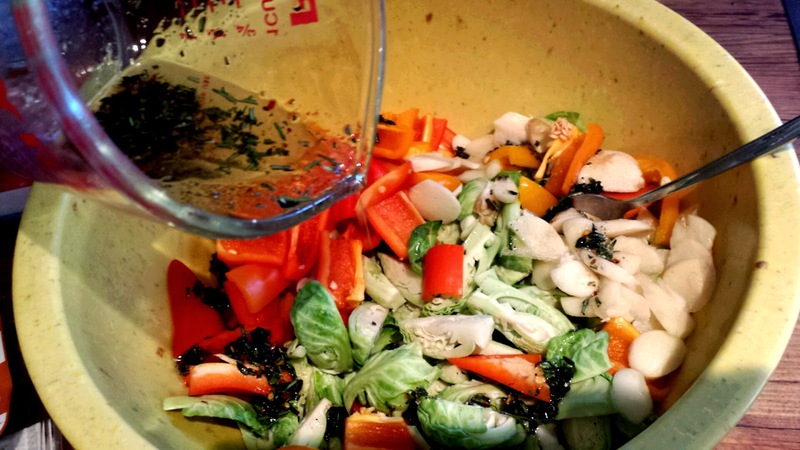 Need more vegetables in your diet and want them to taste good in the process? 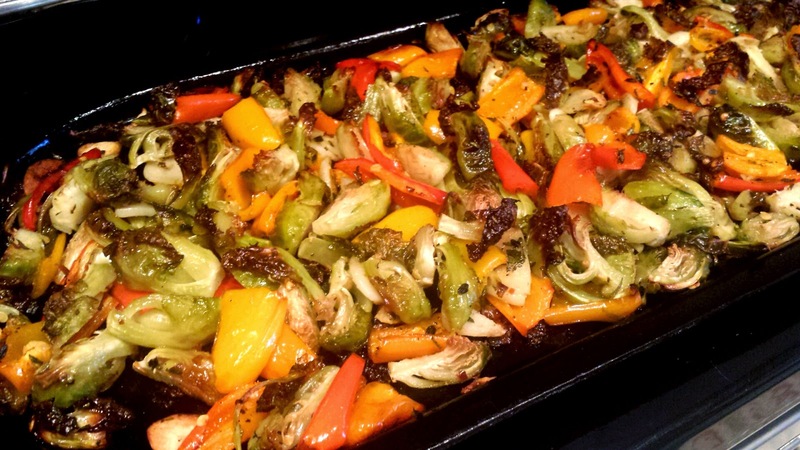 Then try out our Roasted Brussels Sprouts with Sweet Peppers recipe, dudes! You'll love it. Or else. 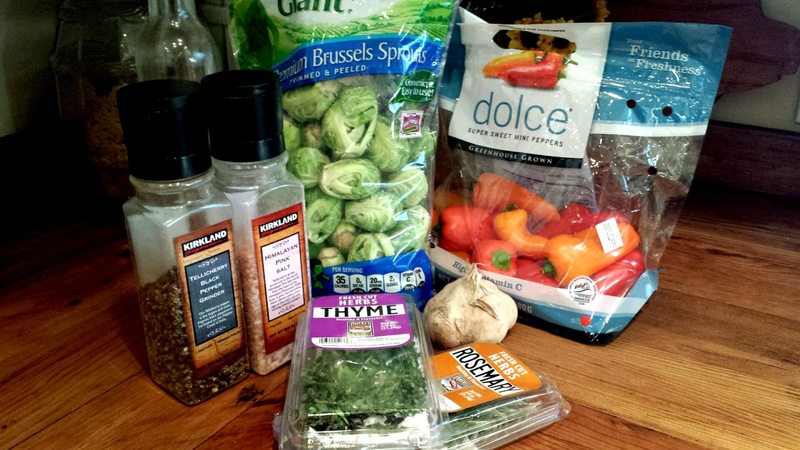 After you have rinsed your produce start with the Brussels Sprouts. Cut off the stem on the bottom. Then cut them in half and in half again. So each Brussels are in quarters. Place them in a large bowl. 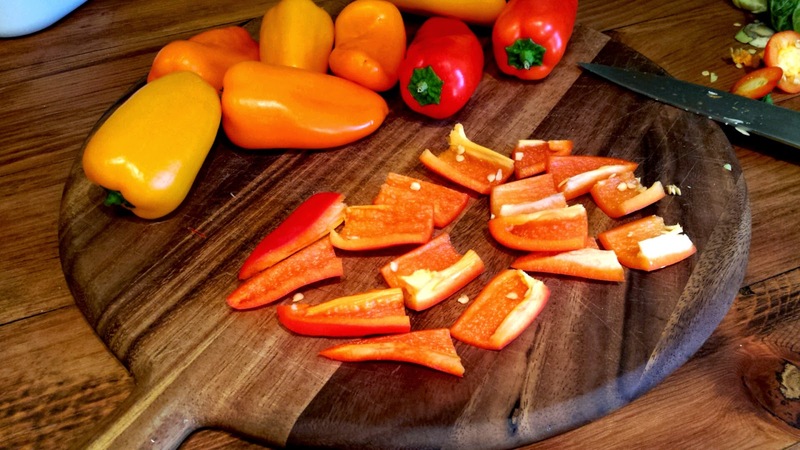 Now cut the stem off of your peppers. 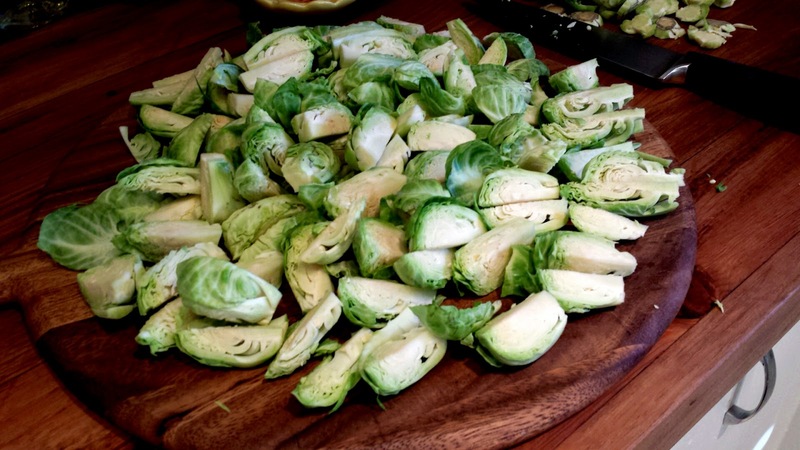 Cut them into a similar size as the Brussels. Place them into the bowl. 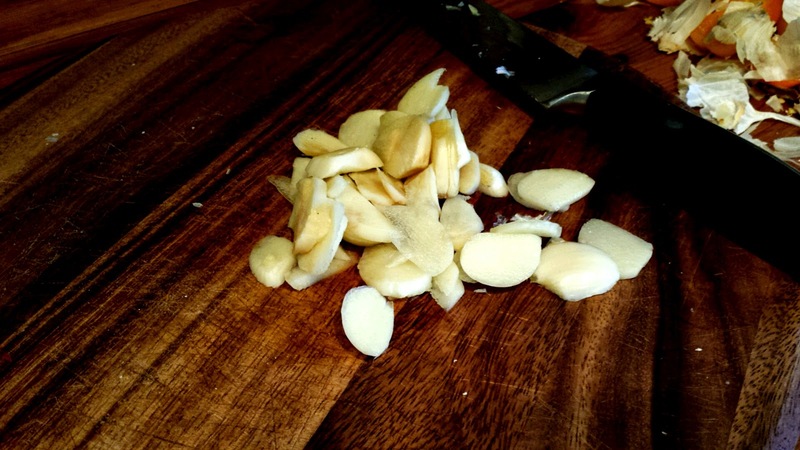 Peal your garlic and cut into thin pieces. Add to the bowl. 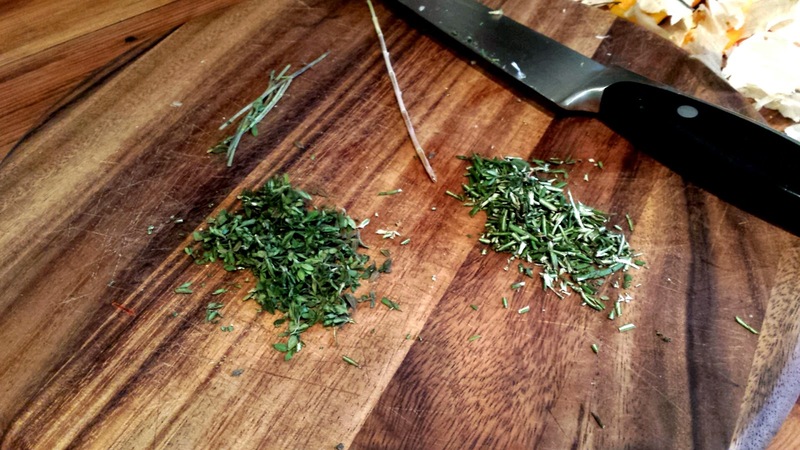 Mince up your Thyme and Rosemary place them into a small mixing or measuring cup. Add your Olive Oil and some Salt and Pepper. Whisk with a fork until well blended. Pour this over your Brussels and Peppers. Carefully stir together. You want everything to have a light coating of oil. You should be able to see the seasoning spread evenly over everything. 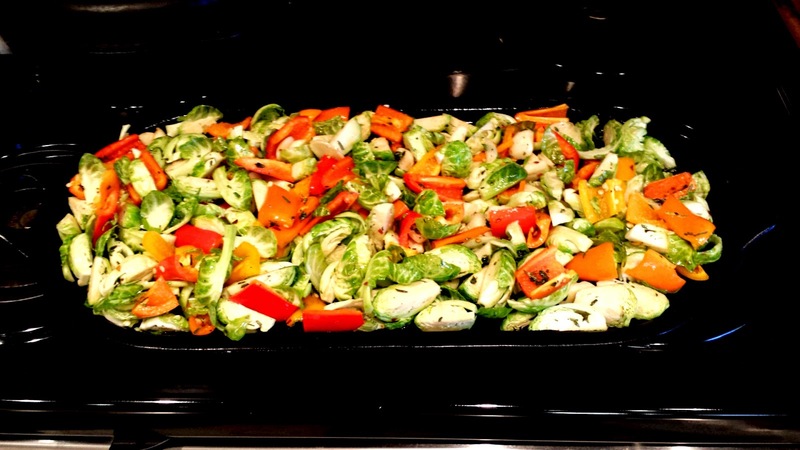 Spread your vegetables in a thin layer on a baking sheet. Wait until you smell this as you pull it out of the oven! 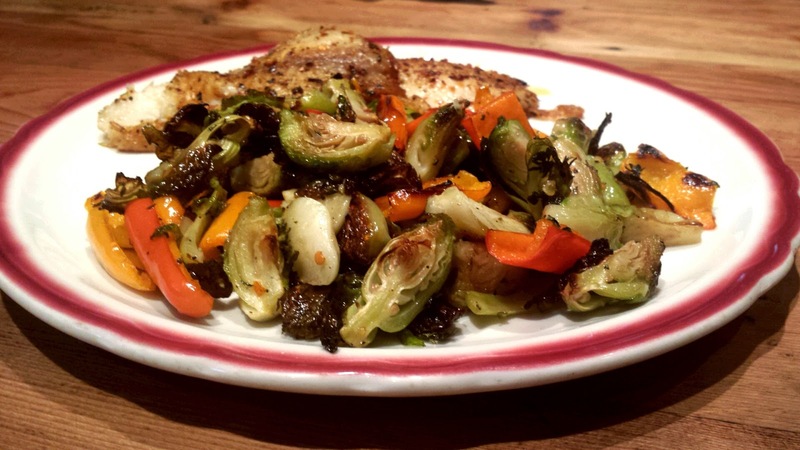 We hope you enjoy this delicious and healthy ( Brussels Sprouts are a good source of vitamin C. ) dish!